Writing in a journal has many positive benefits — it’s been proven to improve mental and physical health, reduce stress, and even boost your self-esteem. A recent study proved that writing down words on paper helps you remember things more than if you typed them. You’re less likely to have an “I totally forgot about that deadline” moment, which we’ve all probably had at least once. In short, writing on a journal is intrinsically linked to the psychological process, allowing for greater insight and understanding of ourselves. The Bullet Journal is a system created by Brooklyn-based designer Ryder Carroll. He dubs the BuJo as “the analog system for the digital age.” It’s a customizable notebook that serves as the ultimate holder of your planner, to-do list, diary, sketchbook, and more. The system aims to give the humble notebook a little more structure. The Bullet Journal, by design, helps you decide what matters and what doesn’t. The simple and extremely effective reason why BuJo is becoming more popular is that if it’s not important enough to write down any number of times, you don’t need to have it in your life. Despite the availability of task management apps today, keeping a bullet journal provides a more personal approach when you want to keep your productivity in check. It won’t replace your smartphone or tablet, but these devices can’t contain everything the same way something with a book spine can. Once a bullet journal is full, it lives on your shelf with what eventually becomes a lifetime of others, and you’ll have the best recollection of your life thus far, that no technology can match. 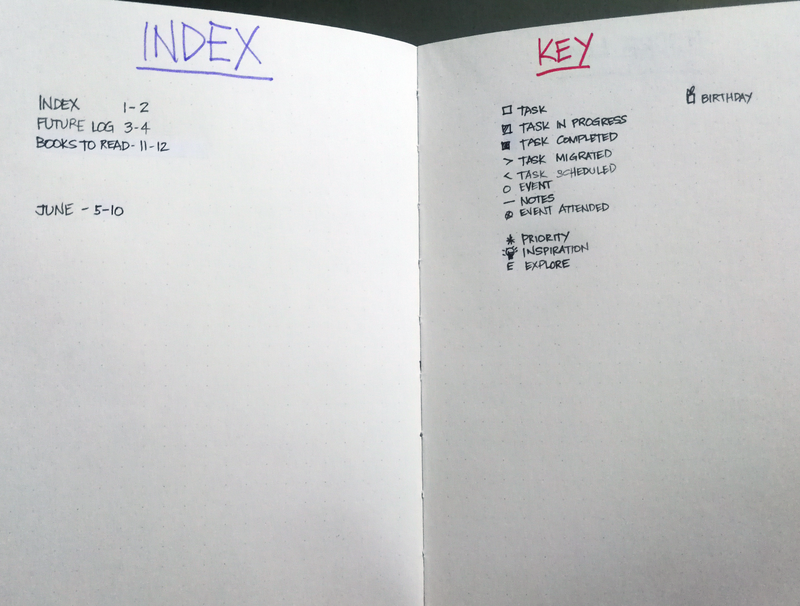 A bullet journal relies on rapid logging to minimize and consolidate information easily. You can reorganize the layout of the bullet journal to fit your needs. That’s the beauty of this system — you can personalize it. 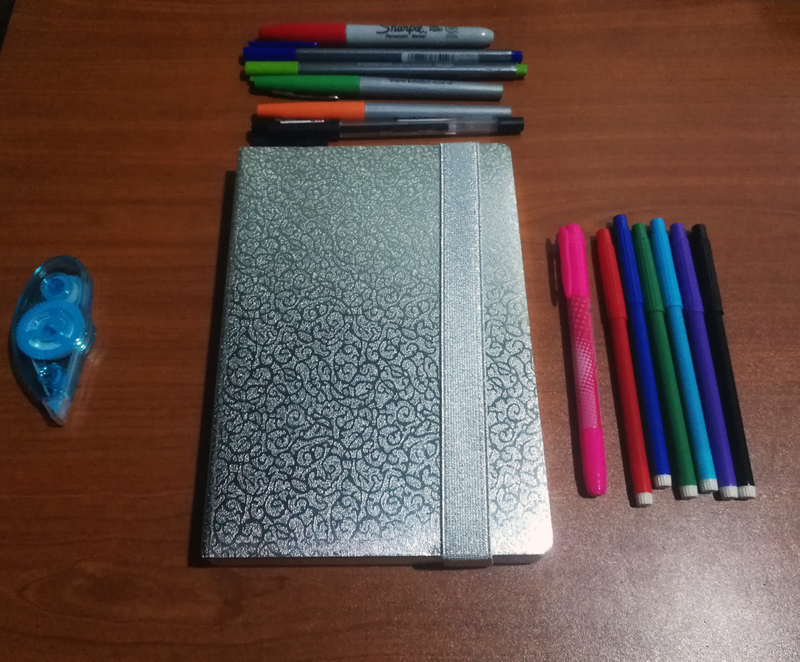 My arsenal: A shiny new dot grid notebook, colored pens,, markers, and a trusty correction tape. Bullet Journaling is simple to learn — you take a journal and list down your tasks with a bullet point next to them and use a particular marking system that shows what tasks you accomplished in a day, what your other tasks are for the rest of the week, and so forth. BuJo users follow a “key” to assign different bullets to each entry — a process that gives the journal system its name. The original bullet journal system calls for a key, an index, a future log, a monthly overview, and then daily logs using the key. The Bullet Journal uses symbols to identify the type of entries that you log. Since you’ll get in the habit of essentially brain dumping onto the page, giving those entries visual categorization is super helpful. You can create your own key but other bullet journalists advise that you keep your symbols as few as possible. As you can see, I tweaked the key for my journal. 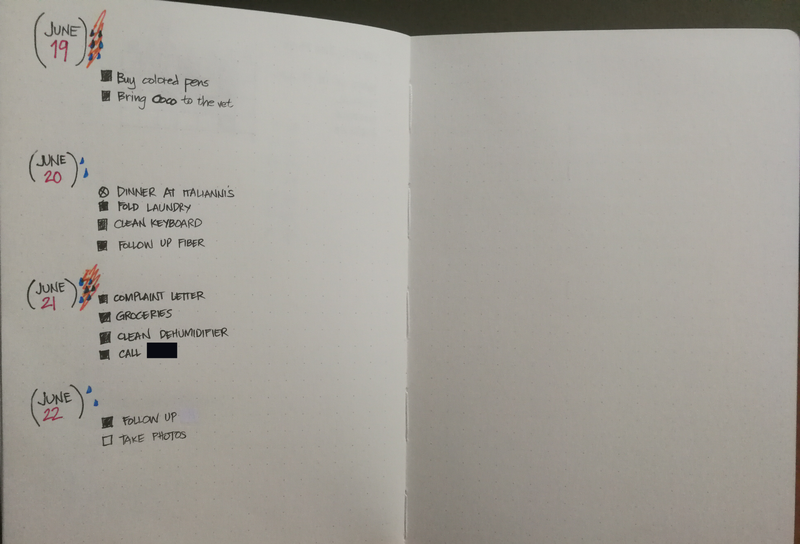 The first blank spread is your journal’s index. It is a list of page descriptions and their corresponding page numbers so you can find what you need when you need it. As you fill in new pages, writing their page numbers and topic names on the index page allows you to easily look them up again later. This gives you the freedom to always turn to the next blank page in your notebook, regardless if you want to design a one-page inspirational quote or write a shopping list. Write “Future Log” at the top of the page, number the page, and add it to your Index. The correction tape sure is handy when you make mistakes. Another awesome thing about the BuJo is that you don’t need to wait for the start of a new year to get into the habit. If you’re reading this in June, your first Monthly Log will be June. So write the month at the top of the next page, and write the days of the month on the side. It’s helpful to write the first letter of the corresponding day of the week so you know when the actual date falls. Now take your current calendar system (Google Calendar/iCal/phone) and move this month’s appointments and events into your Monthly Log. Remember to keep the text simple and concise. As you can see, I also added a giftbox icon (you can find on my Key page) to take note of birthdays. The Daily Log starts with a brain dump of everything that needs to get done today. So feel free to jot down any thoughts, tasks, ideas, or notes — basically anything that you need to remember. You can process your new notes at the end of the day and migrate them to any relevant checklist or collection. Don’t feel pressured to instantly make Instagram-worthy Bullet Journals (something I’ve been telling myself since I started my own BuJo journey). Functionality is key. When you start with your first Bullet Journal, practice with the most basic symbols and stick only to log pages. Most of the design hacks out there are for folks who have found their Bullet Journal rhythm and have a lot of pages to show for it. Give yourself time to figure out what matters to you. If you like the idea of logging what you’re grateful for and want to see them all in one place, the gratitude log is something you’ll fancy. “It’s a great way to instantly perk you up,” Carroll says. Create a tracker to improve your time management skills. You can integrate the Pomodoro Technique with this one, since you’ll be more aware of how long things actually take. Here at Crossover, we use an app called WorkSmart. It measures a variety of data to give us insights on how we work and how we can meet our goals. Crossover CEO Andy Tryba calls it The Fitbit for work. 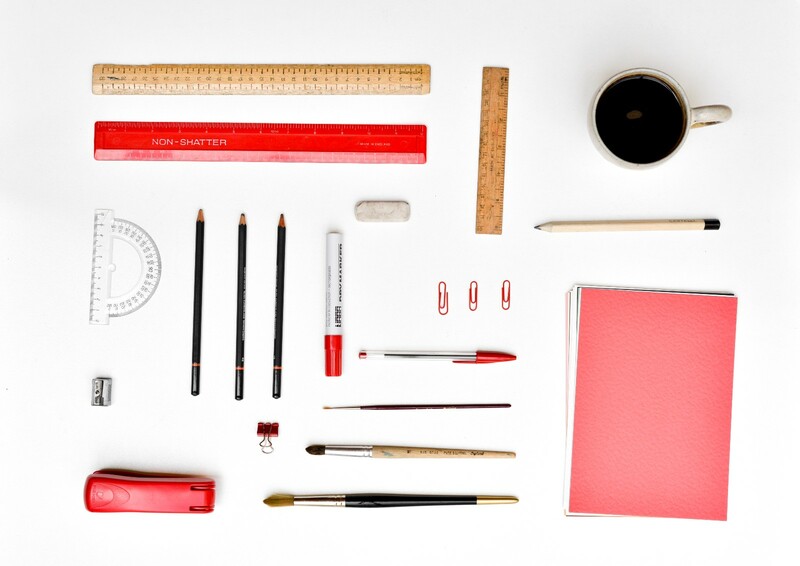 Both tools let you study and analyze your work habits. If you love making lists, you’ll love writing collections. You can make a list of the movies you want to watch, your birthday wishlist, travel bucket list, article ideas for your blog, and so on. 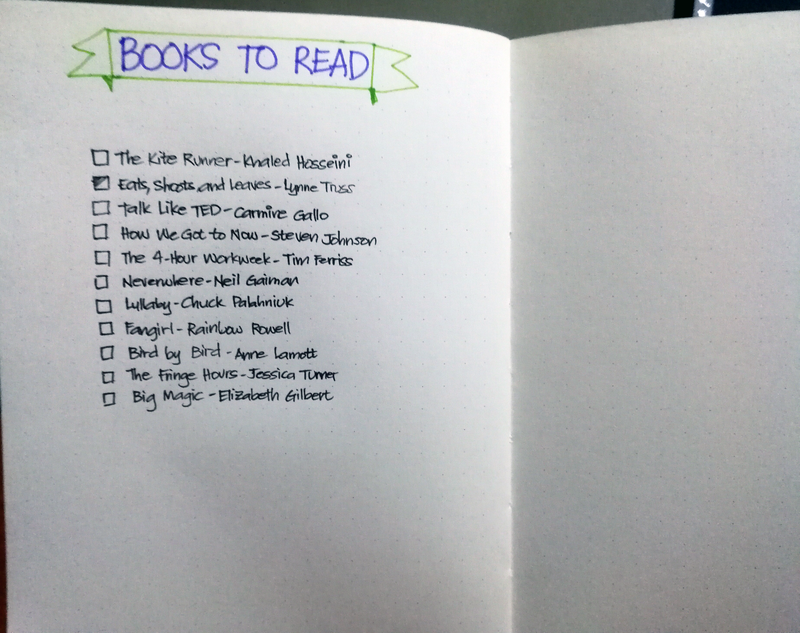 In my journal, I made a list of the books I want to read. Care to add suggestions to my reading list? 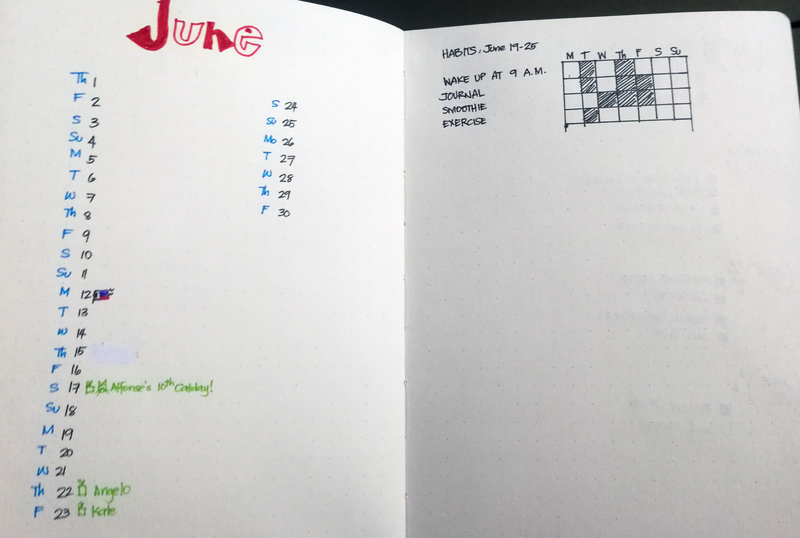 Another great resource: Cristina Tamas’ My Life in a Bullet, a website dedicated to all things BuJo. Using the bullet journal system doesn’t require you to have specialty paper and a fountain pen. Your notebook will soon become your lifeline, so the durability of your notebook should be your topmost priority. Whether you choose a wide-ruled, college-ruled, grid or dot grid journal, make sure the pages are thick enough. Pro-tip: Most BuJo enthusiasts use dot grid paper, but you can use lined or unlined paper too. German stationery brand Leuchtturm1917 (Loysh-tom, in case you were wondering) has become a household name in the world of BuJo. This is perhaps the most popular notebook choice among bullet journalists because of its pre-numbered pages. It comes in a variety of sizes, and has grown a solid following because of its tried and tested high quality paper (no need to worry about ink staining the other side of the page). It also has a sturdy elastic band to keep your notebook secure. Moleskine notebooks boast a plethora of options for the BuJo enthusiast. It has soft and hard cover choices, unlined, ruled, dotted, gridded, or dot-gridded paper options, elastic or hard paper closures, inner pockets, as well as built-in bookmarks. The official Bullet Journal notebook is perfect for lovers of minimalist design. Its dot grid paper supports the bullet journal method very well, and has dedicated spaces like index and key page. 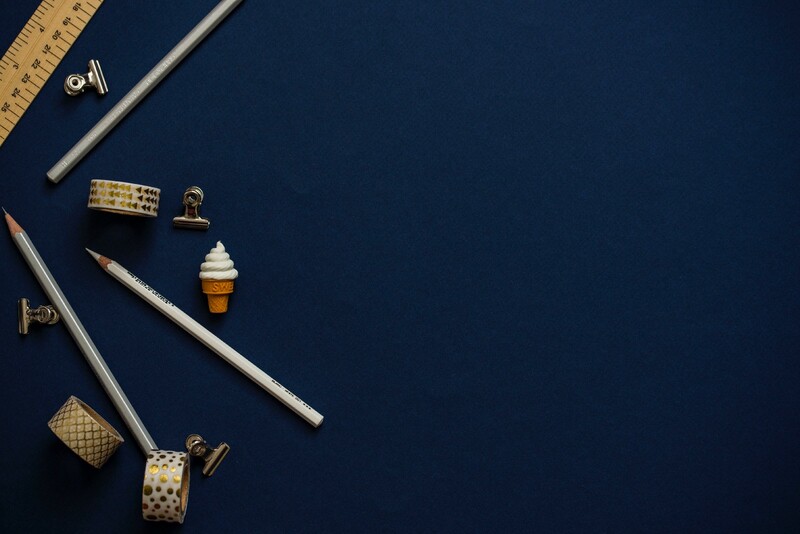 We all have our preferences when it comes to choosing our tools for writing: the brand, pen tip size, the color of ink we use but it all boils down to having a good pen that will encourage you to to sit down and write everyday. Once you get the hang of things, you can add colors if you need them. Some people flourish when they color code the world, whereas others are more efficient in black and white. These are a fantastic set of pens that makes your handwriting crisp and bright. 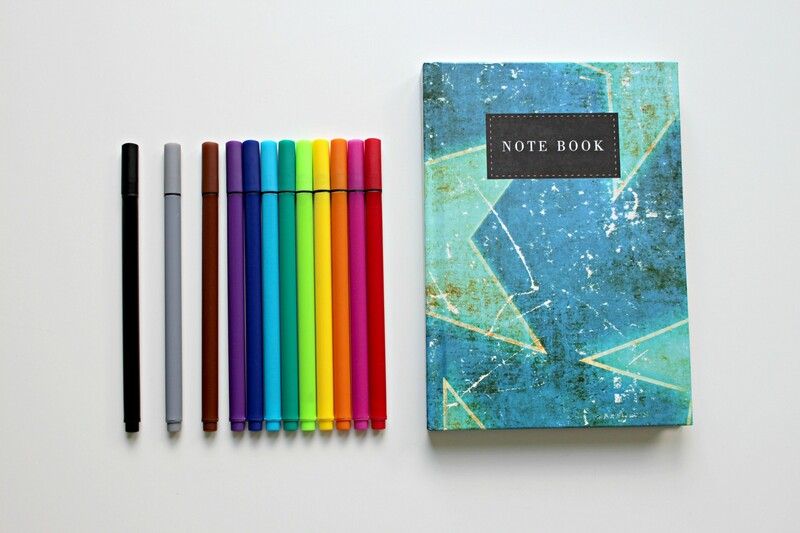 They are great for adding a touch (or a ton) of color to your pages. If you’re feeling fancy, you can just do all your normal spreads with these colorful pens — no extra effort required. Here’s another fine tip favorite. It’s not like the regular Sharpie that bleeds through the page. BuJo experts recommend using these pens when writing headers, hand-lettered quotes, or making small embellishments to your journal. Correction Tape — because it’s totally okay to make mistakes! Remember: You’re free to make adjustments, try new things, and build your own approach to suit your workflow.